The system can be purchased at the most basic level and later upgraded to a sophisticated deposition and analysis tool as funds allow. All upgrades are designed to be simple for users to implement, cutting down on unnecessary installation expense. 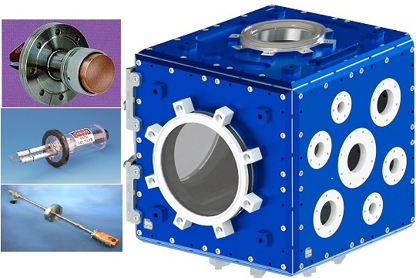 Available sources include: Sputter, E-Beam , Low Temperature Organic and Thermal Evaporation. Options available such as; quartz crystal monitoring, RGA, OES, and heated, cooled, rotating or static sample stages.